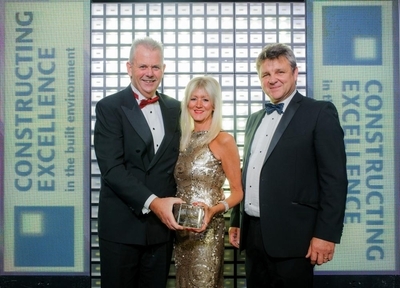 Wales won two awards on offer at the National CE Awards last week walking away with the health & safety category – won by Designed for Life: Building for Wales – as well as a special award for the Kachumbala Widows’ Cooperative Mill and Grain Store Project that won the Chairman’s Special Award at our CEW Awards in the summer. It was a fantastic celebration of the great and the good from across the UK and all of the CE regions and was an opportunity to share news of projects, best practice and a small amount of well earned mutual appreciation. 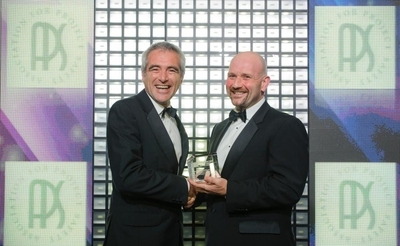 This year the National Awards were full to bursting, with over 400 guests gathering at the Tower Hotel, by Tower Bridge. 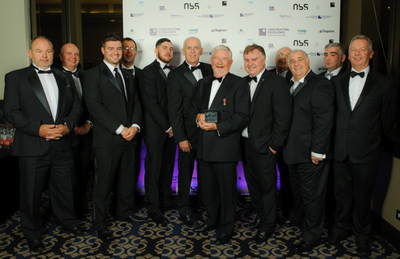 The turnout for the National Awards showed the support of the construction industry in seeking best practice, innovation and excellence to the highest standards. It was a joy to share in the success of those who worked extremely hard, in improving our industry for the future. Because the national awards event is a celebration of the best of the best the standard of entries is very high, so it is worth remembering that everyone in the room at the Tower Hotel is a winner. Wales has traditionally done well at the national event and this year was no exception – but to remind you of just how good we are please take the time to review the CEW Award winners.